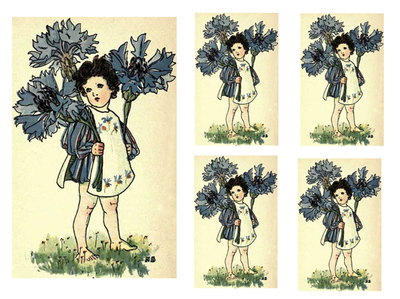 Printout this blue button - cornflower child for your cardmaking sessions. 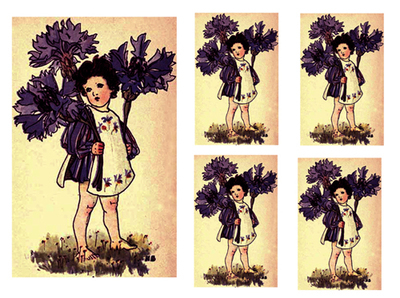 Image from an old book circa 1901, artist Nellie Benson. See more image sets like this. Hi there Mina I just love your vintage as well as the Flower Children - they are so cute. Will I be allowed to use them on my cards that I make and sell to add to my pension. I am from South Africa and will of course mention you as the source of the pictures. Warm greeting on a chilly fall in South Africa. thank you so much - I appreciate.